Here’s the centre spread of The Library by Roderick Hunt and Alex Brychta (Oxford University Press, 1991), part of Stage 1 in the Oxford Reading Tree, and a book without words – at least, without words intended for a child to read. There are words throughout, on the covers of the books in the library. Some are real (the page before this shows Rosie’s Walk by Pat Hutchins and The Trouble With Mum by Babette Cole) and some apparently aren’t (The Oxford Reading Tree Book of Animals on the cover). 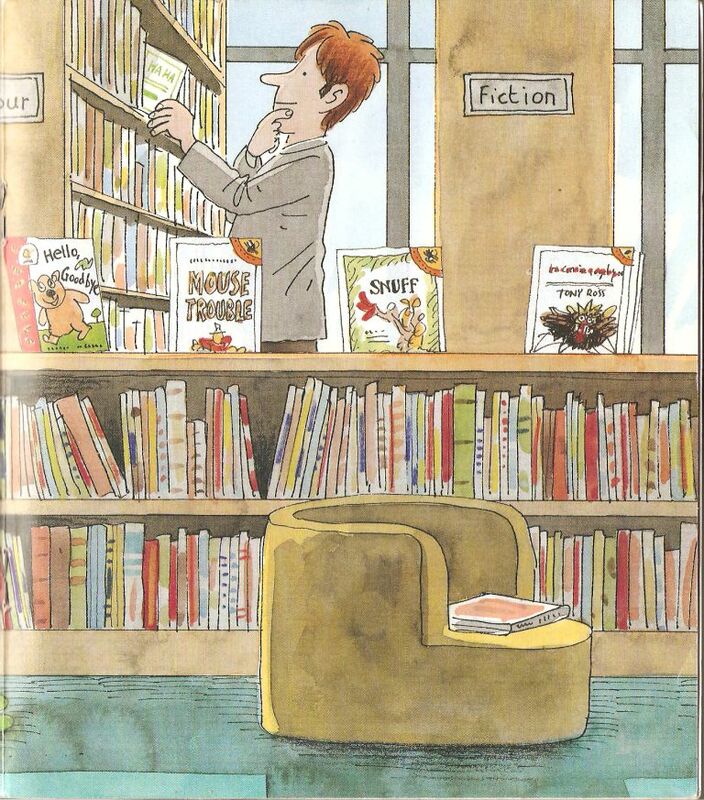 Five real children’s books are shelved face out: Oscar Got The Blame and I’m Coming To Get You! by Tony Ross, Hello, Goodbye by David Lloyd and Louise Voce, Mouse Trouble by John Yeoman and Quentin Blake, and Snuff by Quentin Blake. 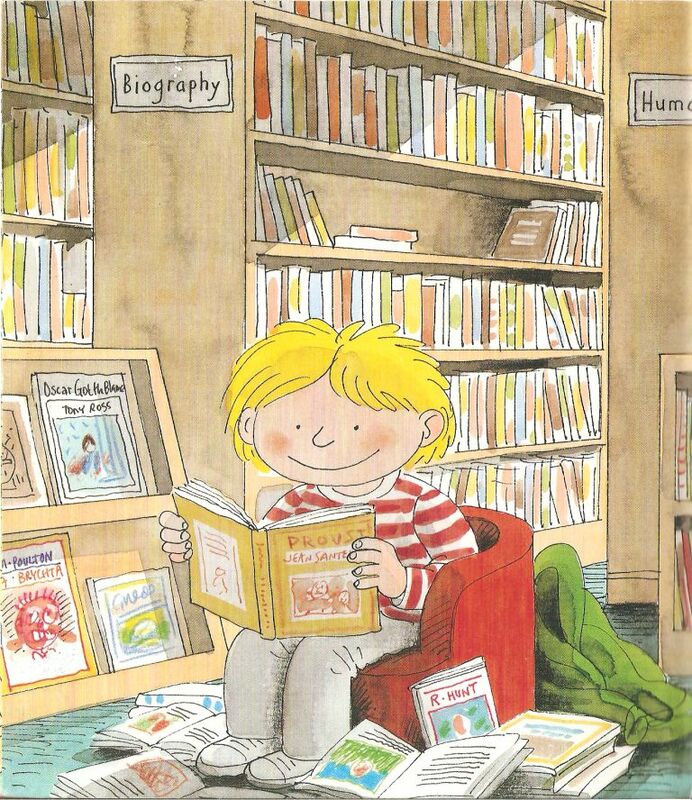 … and in the pile of books that Kipper tries to borrow are Wishwhat by Alex Brychta and The Bunburys by Jan Brychta.